it is now capable of carrying a fully functional Tensor Field!! or complete as the Tensor Fields were from the copper tools. 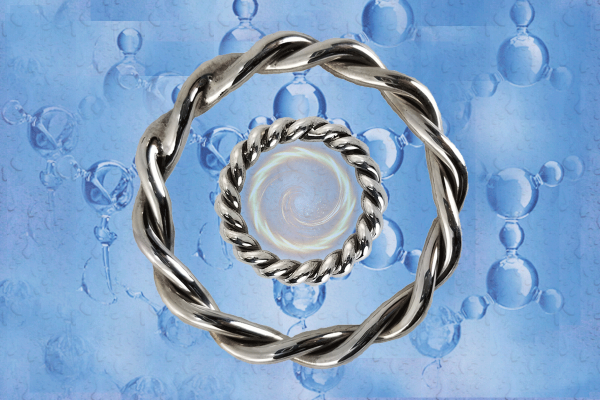 The Silver Series Water Rings are now whole and complete in their energetic qualities!! .999 Silver is used in our entire Silver line of tools. ** We no longer recommend using the Silver Infinity with water. Silver Series Rings will work with water!! The Silver Series are not just for water!!! and hence are all-purpose tools!! Golden Fire Rings for the Original Blueprinting of Water!! to carry it’s original blueprint, as was intended at this time!!! 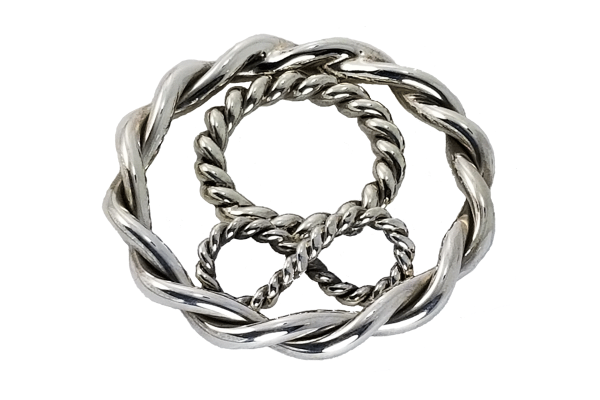 All of the Silver Series of Rings are and will be made of the Golden Fire. I have kept a 2" Silver Water Ring in my steel water jug for almost 4 months now, and have not had to rinse or clean my jug even once!! I usually have to wash any container out with vinegar at least once a week due to the smell coming from bacterial growth. charge and restructure the water. the energetics of the environment as well as that of the water. part of that is they are immersed directly with water. Water Rings connect to and with the physical and etheric/spiritual aspects of water. Water Rings help with communication to your water. To create healing elixirs, simply speak to the water. In as little as ten minutes you can notice a change. I leave my Ring in my bottle of water for at least eight hours for a total clearing and charging of the water. As you add new water to the bottle, the water left in the container helps to even more quickly disperse the vibrancy into the newly added water. To work with the Golden Fire Water Rings, it is an automatic process. best when we are not directing the outcome!! You can still take an active role by working directly with your water. Water is here and in service, while we are living on this beautiful Earth. You use the Rings as a tool to easier connect with the water. Water is a crystal, it is conscious, and I believe it to be a profound healer when used with intention and gratitude. Tensor fields connect with the physical of the water, balancing PH and creating ORMUS within the water, raising it into a high vibration state. The Rings connect with both the physical as well as the consciousness of water. It is this direct connection that allows an ease of communication with the water. You can use the Ring to communicate your needs and intentions to the water. This can be done by holding your container of water with the Ring in it, and voicing your intentions to the water. Have your Ring in the water vessel for at least a few minutes or even overnight, and then drink the Elixir. Use at your own risk, possible choking hazard. We are not responsible for the accidental oral ingestion nor choking due to any of these products placed in your water container. It is recommended to sterilize the tools you receive before placing them in your drinking water. The polishing compounds are non-toxic and vegetable-based. New Rings still require cleaning. It is suggested to boil the silver tools before use to avoid any contamination in your water, or in the least scrub with dish soap to clean them. We do not recommend putting copper in your water. That has always been our disclaimer, as it is easy to orally ingest too much copper for the body to process. Granted using copper water vessels comes both from ancient Ayurvedic scriptures, and cultures in Asia and India who have drank from copper water vessels for thousands of years, though it still has to be done correctly. There were formulas for drinking from copper water vessels that were followed in order to receive only the healthy benefits of ingesting copper. There are many cultures throughout time who have utilized silver to prevent bacterial growth and mold as well as preserve other substances. Another Ayurvedic treatment, as well as much written in Greek, some Egyptian, and early American history all testifying to the uses of silver. **We no longer recommend using the Silver Infinity with water. The solder that is used with the Infinity contains 75% Silver, and 25% copper. This small amount of copper may leach into the water. While a small amount of copper in the water is beneficial, you must check with your body each time you ingest copper infused water. We no longer use solder on the Silver Water Rings, which is why the price has increased, due to the creation process becoming more labor and time intensive. 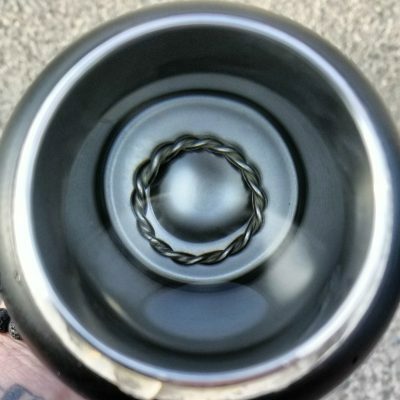 I have a number of twisted sage products not just for myself but now for other family members I bought this water ring and placed it in my water pitcher to filter out my bottled water I get from the store and the difference is like night and day I suggest if you are concerned about your health buy it you won't be disappointed. using the 2' ring, for me when adding to the water it gives it a acquired taste to where you would want to drink more water. i also use it for doing energy work with my hands. i enjoy this powerful tool & appreciate the work. I have two of the 2" silver water rings. One is in the reservoir of my Berkey water filter, the other is a crock that I fill with more highly conditioned and structured water. I got busy and didn't add any additional water to my nearly empty crock for the past couple of months. I just drank a glass of water from the long neglected crock. It tasted as fresh and good as it did when I first filled it a couple of months ago. For me this is definitive proof that the silver water ring is highly effective.